WHOA: Secret Service Agent Goes ROGUE On Trump…Now It’s PAYBACK Time! While vowing to create more jobs in America, Donald Trump has also promised to drain the swamp and fire a huge number of federal employees. Maybe he should start with one in particular. Everyone knows that the presidential detail of the Secret Service is an ultra-elite group whose priority is to protect the Commander in Chief. It is frequently said that they must be prepared to come between the president and a would-be assassin. 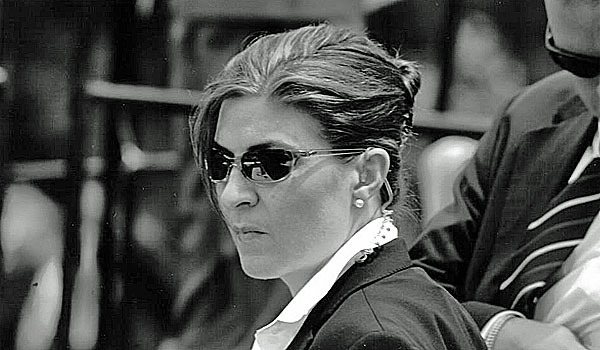 A senior U.S. Secret Service agent is under scrutiny after she shared several controversial Facebook posts excoriating President Donald Trump, at one point implying she would rather go to jail than “take a bullet” for Trump. The Secret Service told The Washington Examiner that they are “looking into” the posts made by Kerry O’Grady, the special agent in charge of the USSS Denver district. In an October Facebook post, O’Grady appeared to openly defy the Hatch Act, which bars some federal employees from advocating for a partisan political party, group or candidate, and proclaimed her support for Hillary Clinton. After the predictable public uproar ensued, O’Grady told The Examiner that she later deleted the post and would in fact be “proud” to protect the president. However, the fact remains that she showed very poor judgment in posting it in the first place, and sound judgement is surely a job requirement in her line of work. As well, as reported above, O’Grady seems to be in clear violation of at least one federal law. Hopefully, an internal investigation into this matter is already underway at the Treasury Department. What do you think? Should O’Grady find a new job instead of defending a President she obviously cannot stand? Or should her about face be enough for Trump? Let us know in the comments below!